Fans of the bullfight do not go to the arena to see a man killed. Modern medicine has saved many lives where in the past, the man injured by a bull would have surely died. Still, death does take place, as recently as 2013 when the veteran El Tio was killed in Mexico from a goring in the lung. Usually in these days, if a death takes place it is due to irreparable damage from the horn, as an injury to the heart, lung or jugular. The death toll is not as high as it used to be and certainly not comparable to the death of bulls in the ring, but it has happened consistently over the decades. Among the most notable deaths in the past 125 years would be the following. Few toreros have been more iconic in life or death than this man. 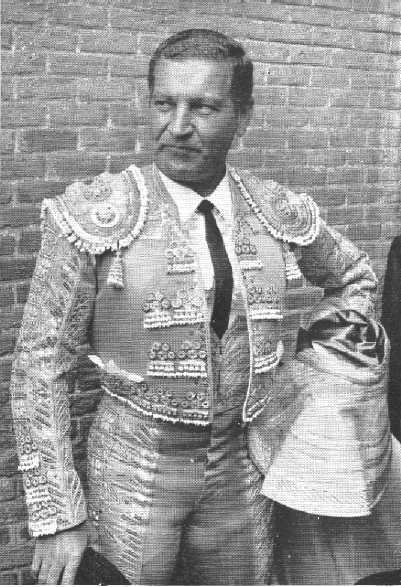 One of the greatest ofthe great according to nearly everyone, this tall, sad-eyed matador from Cordoba met hisend in Linares, Spain at the age of 30 in 1947. He received a fatal goring as he placedthe sword in his second bull of the day, effectively killing as he died and dying as hekilled, as the poets liked to lament. In truth, he survived for a few hours after receivinga horn wound in the groin that caused him to succumb to traumatic shock and bloodloss. The costume he wore on the fatal afternoon may be seen in the bullfight museum inMadrid, though the original pink and gold of the uniform has been fading so badly underthe display light, the background color is bleached white. The dried blood stains fromthe massive hemorrhage are still visible on the pants leg. His life and death have been documented over and over again in film, song and the written word. 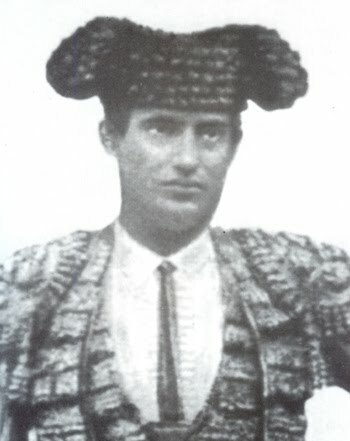 Perhaps the only star comparable to Manolete in recognition and posthumous propagandawould be Jose Gomez “Joselito” who was for all practical purposes the perfect matador.During a long career, he received few gorings, as he was so dominating on the sand, until1920, when a mistake with a far-sighted bull caused his downfall. Forgetting for a fewfatal seconds that the beast he faced had flawed vision, he tried to distract it from anunexpected charge by standing his ground and slowly moving the lure. The half blindbeast slammed right into him, most likely without even seeing its target Joselito took amassive goring in the intestines and died in the infirmary twenty minutes later. 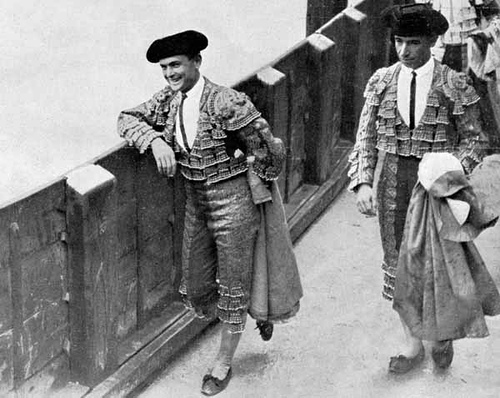 The redand gold costume he wore in Talavera that day was shredded by doctors who used theirscalpels to cut away the material and explore the wound, but the torero’s vest may beseen in the bullfight museum in Madrid. The matador’s remains, however, rest in the SanFernando Cemetery in Sevilla. 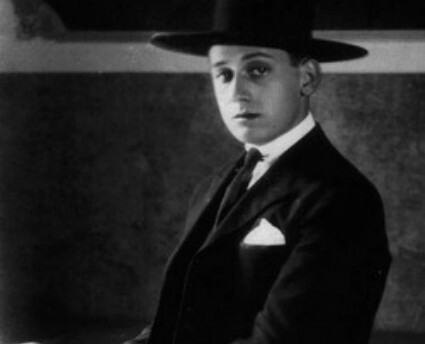 This young man was only 20 when as the successor to the late Joselito, he died in kind. In 1922, he was killed in Madrid when as he attempted a muleta pass at the start of hissecond faena of the day, he was tossed against the wooden fence surrounding the ring.Pinned on his back, the bull drove a horn into his eye socket with the tip penetratingthe brain. Death was instantaneous in what was and still is considered the most horrificgoring in the history of the bullfight. Granero’s body was returned to Valencia for burialand the black and gold suit he wore ont he day of his death may be seen in a bullfightingmuseum in that city. During his brief career, Granero had proven himself excellent withcapote, banderillas, muleta and sword. Prior to the decision to become a bullfighter, hehad considered being a musician and was versed with the violin. A colorful and controversial individual both in and out of the bullring, Paquirri wasknown for his extreme valor. His trademark was receiving the bull on his knees andtaking the horns perilously close to his head. He was also known for dashing workwith the banderillas. In 1984, he was killed by a bull in Pozoblanco, Spain. Whileworking with the capote, he received a gigantic leg wound and the bullring infirmarywas not equipped to handle such. The decision was made to transport him to Cordoba byambulance for better care, but he died on the way there. Yiyo was on the card with Paquirri on the day the latter received his fatal wound andactually killed the offending animal. 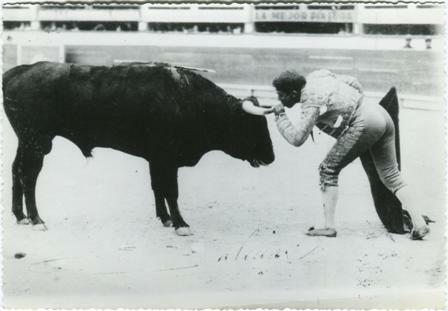 Less than a year later, he joined his friend in death.In August of 1985, Yiyo went to Colmenar Viejo to substitute for an ill Curro Romero.Thus his name did not even appear on the posters for his last bullfight. In any case, hegave the crowd his all and delivered tremendous showing with the last bull of the day.As he killed, however, he took a horn in the heart. He and the bull died within seconds ofeach other and with his unseeing eyes seeming to gape upward into the twilight, he wasrushed motionless to the infirmary, where it was proclaimed he was already dead. The go ring may be seen on You Tube, but it is not pretty viewing. One may literally see thelife go out of him as he takes a few pitiful steps and falls. This torero went from Spain to Mexico in an attempt to make his name trulyinternational. Instead, he became a statistic. While appearing in Mexico City in 1913, hefaced a bull with enormous horns and had earlier remarked how he dreaded this beast.Perhaps he had premonitions, for as he delivered the sword, he was thrown into the airand landed right on top of the animal’s head in an uncanny seated position. The injury demolished his intestines, but he lingered for a short time in great agony. Infection andshock proved too much for him and he passed away, but fate was not finished with him.Candles left unwatched at his funeral were knocked over by a gust of wind from an openwindow. These set fire to the drapes around the coffin and afterward the body itself,reducing much of it to ashes. A Mexican torero of crude valor and stubbornness, he was gored a multitude of times, butalways returned to the ring braver than ever. Many of his gorings were due to his frenziedstyle, in which he ignored flaws or defects in the animals he faced and insisted uponfighting them with arrogant indifference. Shortly after the death of Manolete, Carnicerito,who was friends with the recently deceased torero, was gored in Portugal just weeksafterward. He somehow convinced himself he was chosen to relive Manolete’s fate, as thewound he received was remarkably similar to that of the maestro in Linares. “My goringis like Manolete’s” he pleaded to nurses and doctors. “Watch me,” he later said. “I amdying like Manolete.” And so he did. Like Carnicerito decades later, Espartero was a crudely valiant man who was often goredbecause he refused to coast with the bulls he faced, no matter how difficult. “Hungerhurts worse than the bulls,” is a phrase attributed to him. He was also said to have servedas the prototype for Juan Gallardo in the classic novel Blood & Sand. Such may be so ashis real life goring was remarkably similar to that of the fictional Gallardo. Esparterowas killed in Madrid when he took a horn in the stomach as he placed the sword. He diedin great pain some twenty minutes after being injured. Made famous posthumously in the celebrated poem by Garcia Lorca, Ignacio SanchezMejias was an intellectual interested in science, literature, creative writing and song, aswell as bullfighting. He was especially skilled with the banderillas and muleta, but didnot advance to the ranks of the most high due to faulty sword work. He was nonethelessone of the most beloved bullfighters of his era and his death in the small town ofManzanares plunged the aficionados into mourning. Mejias was gored in the leg ashe performed kneeling muleta passes against the fence The goring itself was serious,but should not have proven fatal, had it not been for infection that set in, turning into gangrene. Attempts to save the wounded man provide futile and he died delirious. He wasthe brother-in-law to the ill-fated Joselito noted before and rests within the same tomb in Sevilla. This aged matador survived a goring in the neck and another in the stomach during his professional career, but lived. On a ranch, however, he proved that in the world of bullfighting, death sometimes comes in unexpected places. While training on said ranch, he was tossed by a cow and received a broken neck. Remain just some of the many killed by bulls. Yet again, many toreros in the past few decades who would have died from theirinjuries had they taken place before the advent of modern surgery and penicillin, provedeath can sometimes be denied. Fernando Dos Santos, Paco Pallares and Jose Manuel Beltran were gore din the neck. Arturo Magana, Curro Sierra, Antonio Rojas and ManoloMartinez received injuries where the horn hit the femoral artery in the leg. Raul Galindo,Fernando Cruz and El Queretano were gored in the stomach. All returned to action. LucioSandin, Armando Moreno and more recently Juan Jose Padilla lost an eye to the horn. All returned to t he ring, short of sight in one side the face, but lacking no valor. Padillacontinues today as someone just short of super hero stratus.